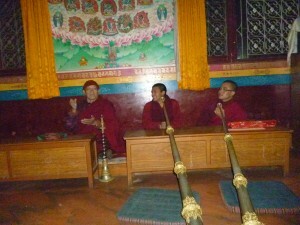 Early this month, our monks at Pal Kadgyu Shedrup Tashi Phunstsok Ling (aka Riwoche) monastery sat their annual examinations. This marked the end of the first year of the new streamlined curriculum at the monastery. 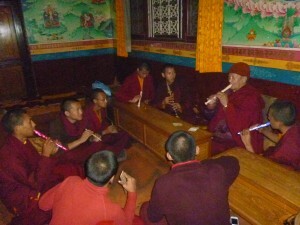 In the spring, at the beginning of the Tibetan new year the education at our two monasteries was streamlined so that all the younger monks studying at elementary level now live at Pal Do-Ngak Nyida Mindrol Norbuling Monastery, while the elder monks studying the three-year curriculum of introductory buddhadharma and ritual practice now live and study at Riwoche. The change has been a huge success. 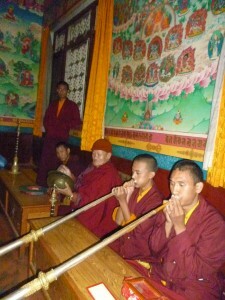 Both groups of monks are thriving in the new set-up. 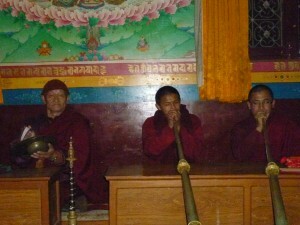 Below are some photos of the monks at Riwoche doing some final practice before their ritual instruments examination. 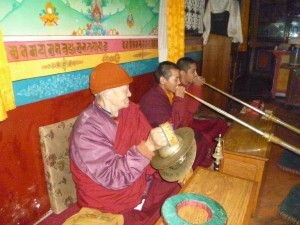 After finishing their exams, the monks went up to Asura cave to attend the week-long tsok offerings with Kyabgön Phakchok Rinpoche. They are now enjoying a few days of well-earned rest. 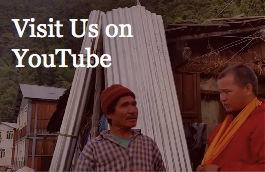 After this, some will go to visit their families and others will begin additional studies, such as language, ritual dance and so on. 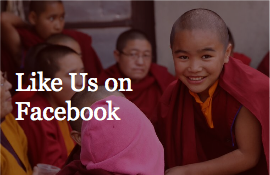 The monks send their heartfelt best wishes to the global sangha and in particular send their thanks to the kind sponsors who make their blessed life of dharma a living possibility. This entry was posted in News and Features and tagged exam, ritual, riwoche by [email protected]. Bookmark the permalink.